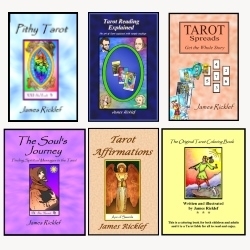 When doing Tarot readings, it is all too common to deal a “good” card into a problematic spread position (i.e., “Your challenges” or “What is blocking you” etc. ), and vice versa. Of course, there are no “good” cards or “bad” cards; they all have a spectrum of meaning. However, making sense of this situation is a real challenge for many Tarot readers. For example, what do you do if you get the Five of Pentacles in a position called “Advice”? One thing you can do is consider the fact that these unfortunate people are sticking together in a tough situation. That might give you the advice to seek a friend’s moral support or to join forces with someone else who is in the same situation. In general, though, how can you see the good side of “bad” cards and the bad side of “good” cards? First, it’s always a good idea to do some “homework” with the cards. Perhaps you can consider one card per day, and if that card seems like a “bad” card to you, write down all the “good” things about it you can think of. And vice versa. But what about when you are in the midst of a reading and this happens? My best advice is to dig beneath the surface to find imagery or symbolism that supports your quest. In the above example of the Five of Pentacles, besides the “sticking together” aspect, there is also the symbolism of the stained glass window in the top half of the image. This might indicate calling upon your faith for sustenance. As an example working in the opposite direction, what would you do if the Sun card came up in a position called “What is blocking your success?” There are a couple of things in that card – a card that most people think of as a “good” card – that can answer this question. First, there are the sunflowers in the background. Sunflowers always turn to face the sun as it moves across the sky, which may indicate that you are being “Pollyanna-ish,” refusing to look at the dark side of the issue. Second, consider the posture and attitude of the baby in this card’s image. It’s as if that kid is crying out, “Look at me! Look at me!” and so we might see an intense egotism depicted there. “What do you do if you get the Five of Pentacles in a position called “Advice”? The five just might be suggesting that it would be better if you didn’t struggle on until you lose sight of what is really important etc. Right, Helen, that’s another option. I once did a reading for a woman whose financial struggles were causing her to lose sight of the great value of her marriage. The problem was that he wasn’t good with money and so she was coming to see him only as a financial problem. This is, of course, a gross simplification of the situation, but you get the idea. Yep I do James, I had a similar reading where the person was so determined to do things by herself that she started to loose sight of those other important things that mattered. I just read your “Good Cards, Bad Cards” excellent advice. Just my .0001 on the 5 of pent. in Robin Wood, it can also symbolize (in a positive position) “charity” and realizing that the walls that often separate us from others is very thin, indeed..sometimes we don’t recognize the support we have right in front of us, all we have to do is ask. Also, Perhaps because I am disabled, I’ve always saw it as the “disability” card. As I often am reminded that help is available to those who need it, simply by asking; realizing that “charity” comes in many forms…sometimes (in the case of your question of advice) looking at the “church” is an institution and could be seen as looking at conventional means of support depending on the question in mind (example: self employed, don’t know where to turn: how about SCORE? Or looking for advice on being a single parent, how about Parents without Partners? If you get my drift). With finances, how could the five of pents be positive? Often it can show us what we mirror about ourselves. Seeing ourselves as destitute (in Robin Wood’s ed. specifically), we fail to see the riches that are probably over looked…one woman I know repeatedly has everyone paying for her way, when she owns her own house, has a good job, etc. She see’s herself as “poor” so constantly insists to herself “she cannot afford” even little things, like a cup of coffee. She truly believes herself “destitute” (which could mirror in the cards), when she in facts is financially fine (the stained glass windows)above, shows her state of mind versus her reality. Again, other cards would significantly altar the reading. Thanks James for the forum discussion! Yes, I often see the stained glass window above those unfortunate souls as the availability of the charity and spiritual support of others. Do we realize that this opportunity is there, or do we walk on by it? This card can ask that, and advise us to recognize this positive possibility. And i also agree that the 5/Pents is also about a sense of self-worth. Do you see yourself as these poor people, or do you see yourself as a conduit and manifestation of the beauty that streams through the stained glass window? Finally, as for disability, I sometimes call this the “Tiny Tim” card, which works well thematically with my name for the 4/Pents — the Scrooge card. Great observations – sooo looking forward to this workshop. I once had The Tower come up in a “What’s Helping You?” position. All I could come up with that felt relevant is that maybe I had the element of surprise on my side! It’s a fun challenge to dig for the silver lining in some of these cards in certain positions, that’s for sure. Ah, the Tower. Many people have a really hard time with that one. I can see it as an unexpected change that you first think of as a disaster, but then realize that it’s a cosmic kick in the rear to get you out of a bad situation so that you can move into a better one. Ah the Tower, I often look at as a catharisis, a necessary clearing out before you can have clariy of mind to see the good that is coming. Sometimes, there is simply no room and you have to tear something down, completel, clear it out, and then enjoy that cleared space to start something new. Great topic James! Sorry I have to miss your webinar. Comment about what’s helping you: The tower…Deck depending, (going back to Robin’s deck for a moment) That card can and often refers to a Pen, may sound silly, but usually right. So how does a pen help you? It can be contracts, writing work, creative ability coming out (often out of the *fires* of disaster comes great creative work). LOL, great minds, James, we refer to the 5 of pents as the “Tiny Tim” card, or the Oliver Twist card…same with the Scrooge comment of the 4 of pents too. I laughed long, I though we were the only ones who see this! Oh by the way the 10 of swords, again specific to the Robin deck, and layout specific can also refer to “signing on the dotted line” or contracted agreements, esp. if the woman sitting up is not playing a roll in the layout. In the 5 of Pentacles, the beggars are walking on white snow (to me, representing pure spirit). They are learning a difficult lesson that will help them to grow spiritually. There is help available to them if they ask for it (inside the church). The Tower might represent a temporary shock to the system, but it is also a wake-up call and a flash of revelation leading to a change for the better. Interesting perspective about the white snow, Helen. Thanks for sharing this. And yes, the Tower can def’ly be a “wake up” call! Also, I think it was either Joan Bunning or Rachel Pollack who called it an “enlightening bolt”.